Since 1964, American presidents have been warning the American public about the very real danger of heart disease. Why? 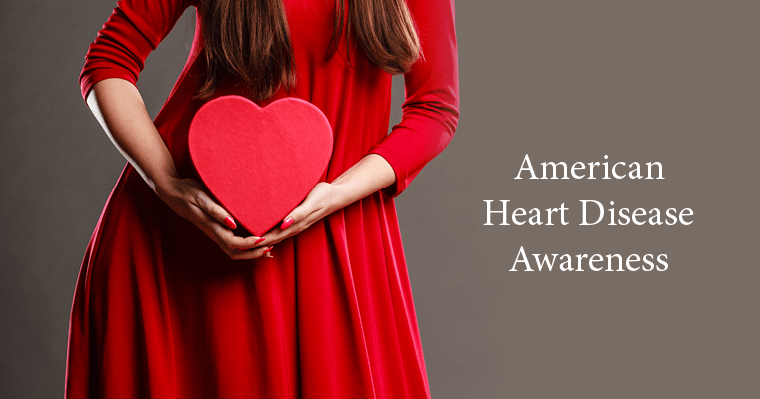 Each year, one out of every three deaths in America is caused by heart disease. This is more than any other deadly disease, including cancer. Because of this, the month of February has been designated as American Heart Month. Each year, focus is given to education and awareness about heart health. Facts. Watch, Learn, and Live using the American Heart Association’s Interactive Cardiovascular Library. Risk factors. What is your heart disease risk factor? Use this tool from the Mayo Clinic to calculate your risk of cardiovascular disease. Prevention. The World Heart Federation explains how you can reduce risk by making specific lifestyle changes. Barriers. The Million Hearts® website lists some common barriers that prevent some from taking needed actions. Symptoms. Learn the five AHA’s Common Heart Attack Warning Signs. Pay attention to your body and act quickly if you feel these symptoms. On Friday, February 3, 2017, people across America will be wearing red to raise awareness about women and heart health. This awareness event is sponsored by the National Heart, Lung, and Blood Institute which is part of the National Institutes of Health, U.S. Department of Health and Human Services. Did you know that heart disease is the #1 killer for women also? Facts show that in 2010, one out of four deaths of women were because of this disease. And the truth is that it can happen to women of all ages, not just the elderly. A red dress has been chosen as a symbol to remind women of the very real dangers of cardiovascular disease. Look for the red dress and its accompanying message this month as a reminder for women to take action and lower their risk of heart disease. How has heart disease affected lives? Read these real stories. If you have a story or comment to share we’d love to hear it!